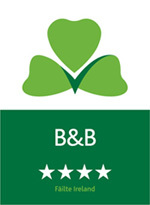 A warm welcome awaits you at Laburnum Lodge 4 Star Bed & Breakfast in County Carlow where your hosts, the Byrne family, will ensure that your stay is a comfortable and memorable one. 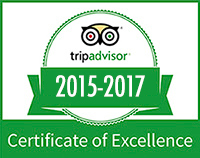 You are assured of a warm Irish welcome, with an opportunity to sample delicious home baking and wonderful Irish breakfasts in this four star approved accommodation in County Carlow. Laburnum Lodge Bed and Breakfast on the outskirts of historic Tullow is an elegant Georgian residence set in over one acre of landscaped gardens. Individually styled bedrooms boast en-suite facilities, televisions and tea/coffee making facilities. Private parking is available on the premises. We offer free WiFi throughout the House. Multi channel TV available in the conservatory. A patio smoking area is provided for the use of our guests. Location: We are situated on the outskirts of Tullow, a main town in north County Carlow in Ireland's Sunny South East. A golfer's paradise and a centre for anglers fishing the River Slaney and other nearby rivers, the town is conveniently placed for exploring the beauty spots of south Wicklow, north Wexford, as well as those of Carlow and Kilkenny. We are situated mid-way between Dublin and Rosslare, on the N81 Bunclody Road and are ideally placed for arrivals from Rosslare Ferry Terminal.